He said Kingfisher, Spicejet and IndiGo have been asked to explain the reason for operating less flights than scheduled. Indian budget airline IndiGo said it has not cancelled any of its flights and was currently operating 259 domestic flights daily. 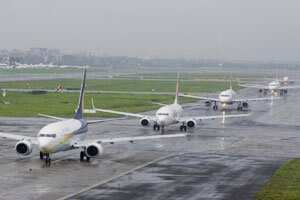 IndiGo was responding to the Indian aviation regulator who said the airline was operating 30 less flights than scheduled. “As we continue to induct seven more aircraft into our fleet from now to March 2012, we will add more flights to fulfill all our winter schedule approvals," IndiGo said in a statement to Reuters.